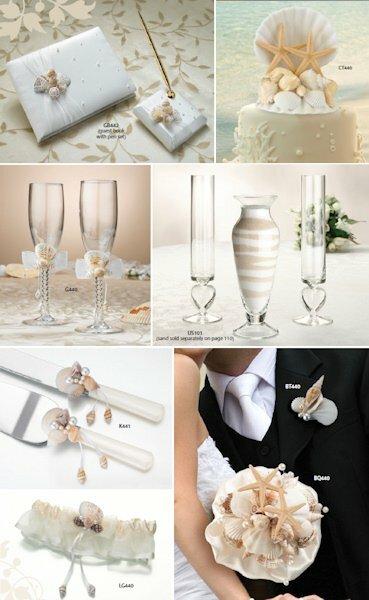 Having a more casual beach wedding? Just love the whole relaxed and casual beach theme? Let your groom roll up his khakis and carry you across the sand. At least on this cake topper. Made of hand painted resin, this beach couple figurine measures 7" tall. The widest point is 5" and the base measures 3.75" wide. The groom lovingly carries his bride in the sand, which has been decorated with a heart and the words "Just Married." A bit of ocean blue and a scattering of seashells also decorate the base. Also available in African-American and Hispanic (search for F983). 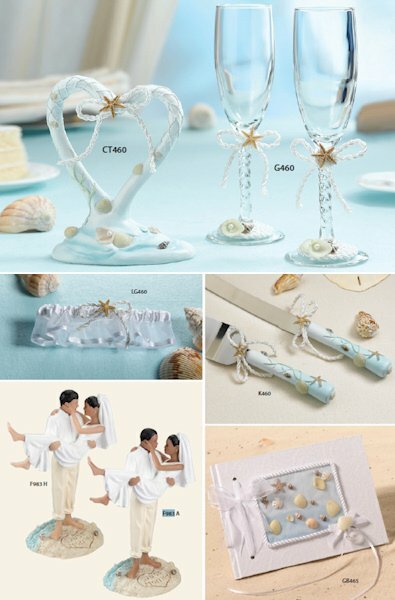 This sweet figurine will remind you of a lovely time spent with family and friends on your special day. 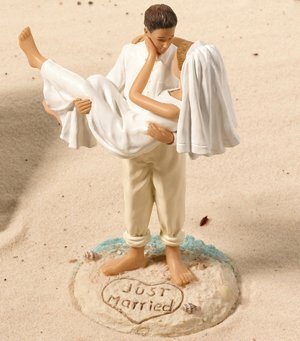 HI I was wondering if you can customize the people in the cake topper? I like to have the girl stay the same, bu the man i would like him a little tanner and less hair (shorter more to the scalp black hair). Just curious if you can do that? I'm sorry, this item cannot be customized. 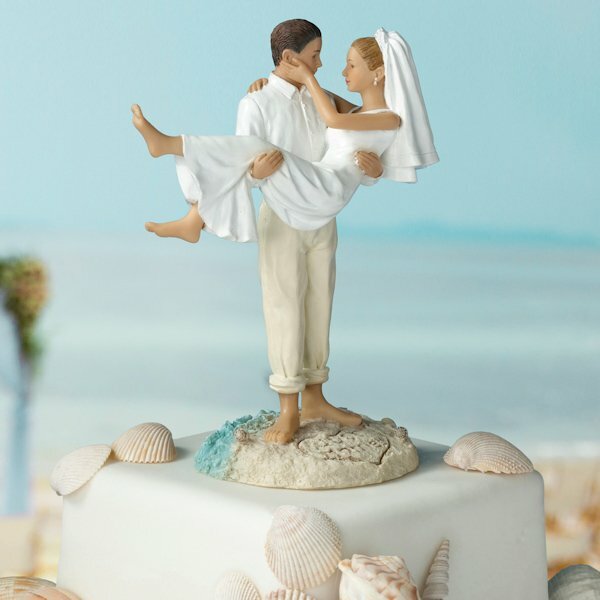 Is it possible to get the beach cake topper with a blond male and brunette female? Unfortunately, this Beach Wedding Figurine - Caucasian can't be personalized and we're unable to alter our items at all from how they're described/shown on our site since they're shipped directly from the manufacturer.